Nelson here wishing you all happy holidays! I’m sure you’re all thinking about what your horses would like for their holiday gifts and I can give you the answer in one word: COOKIES! I’ve asked my pasture mates and barn buddies what their favorite snacks are and now I’m going to share their answers with you. 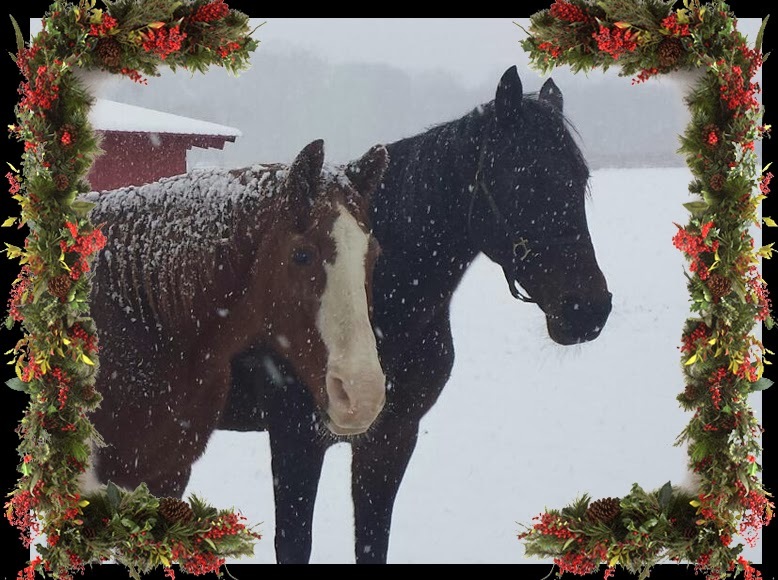 Nothing makes us feel more loved than some homemade treats so here are some quick and easy recipes to make your horses feel loved this season! This is Snowdrift! 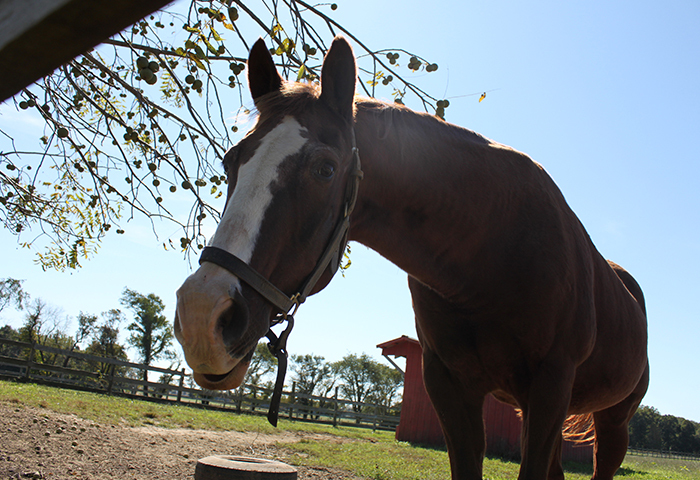 My buddy Lord Nelson asked me to help him out with this post to the “Holy Hoofprints” blog. 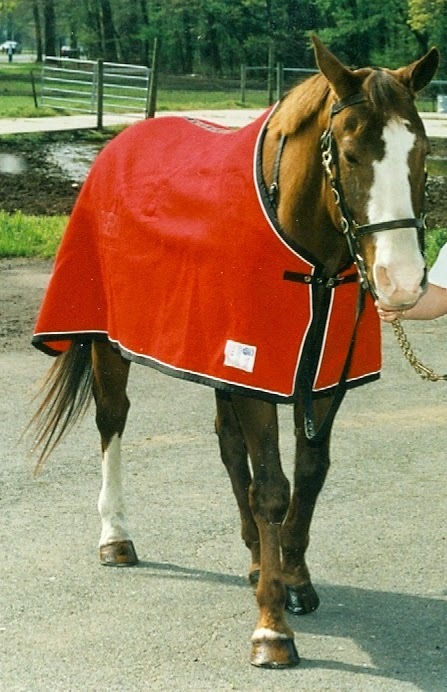 As one of the fastest Horse Hero mares in the herd at the Rutgers Equine Science Center, he knew that I’d be able to write this in a jiffy! Here goes! Read through it and check out the video of me running at almost top-speed on the treadmill! This is Le Cheesecake, giving you the latest scoop on what’s happening at the Rutgers farm. My mentor, Lord Nelson is taking a little vacation and has asked his French mademoiselle (me!) to write his next blog post. I don’t know how he types on these itsy-bitsy keys! Keep reading to get to the VIDEO file below! 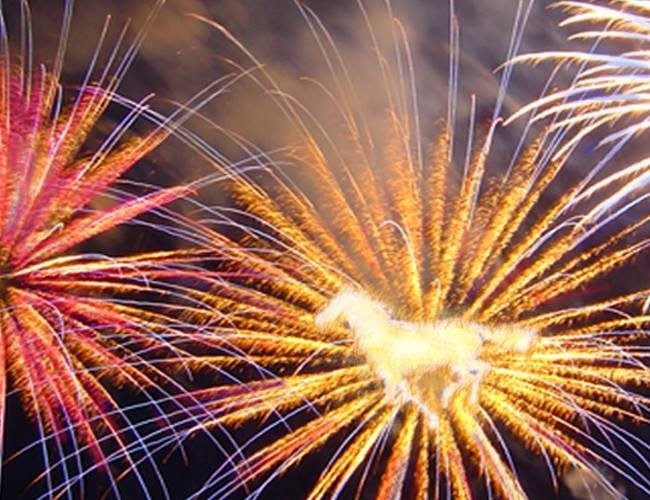 Fireworks – Fight or Flight! Hay Folks,The Fourth of July is almost here and that means barbecues, HOT DOGS, (Mmm mmm mmm) and of course fireworks! 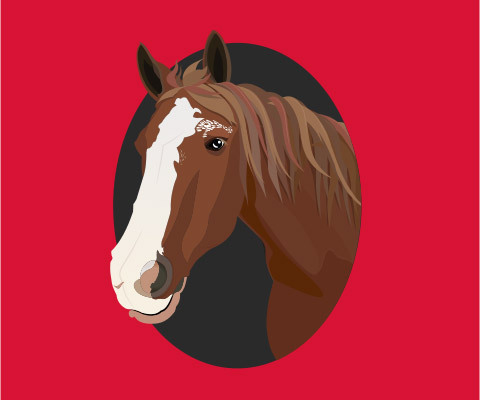 Fireworks are magnificent and a great way to represent my patriotism, after all, I am an AMERICAN Quarter horse. 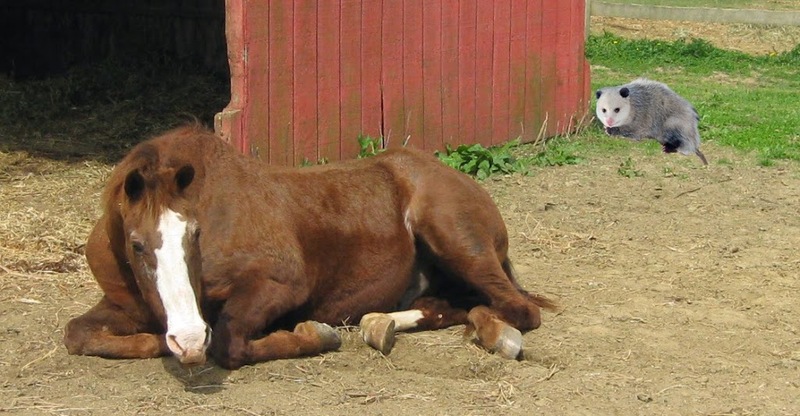 But in a horse’s mind, the loud sounds and bright lights can mean “something is attacking me!” and trigger a horse’s flight response. 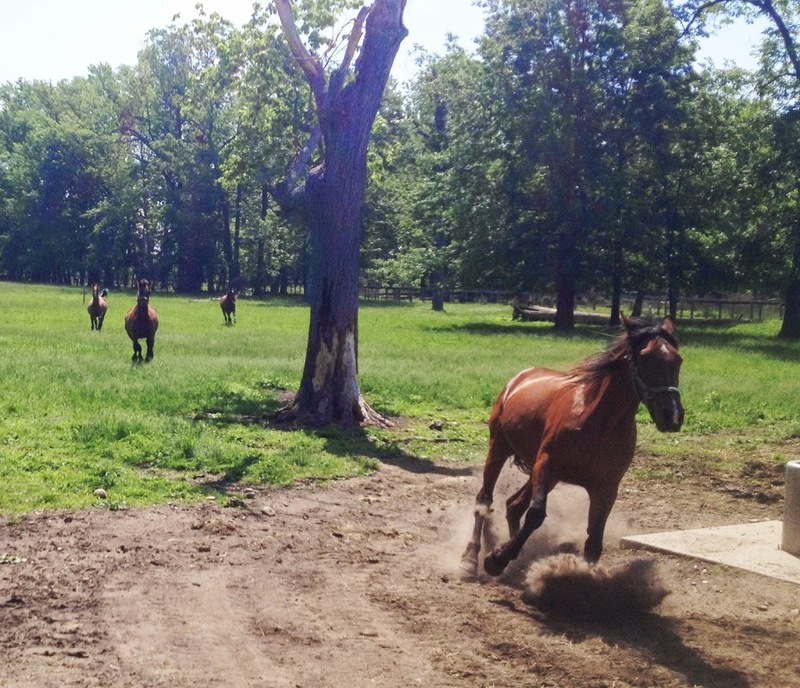 This can be very dangerous for the horse and people around them, too. Got Protozoa on the Brain? I’m glad you stuck around to find out about the nasty protozoa that causes Equine Protozoal Myeloencephalitis (EPM). Remember I talked a little about this month? If you’re just tuning in, check out my previous blog post, “Recycling Manure”. My fellow scientist and veterinarian, Dr. Mike Fugaro is an expert in EPM. He even chatted with my good friends from “Horses in the Morning” about it! 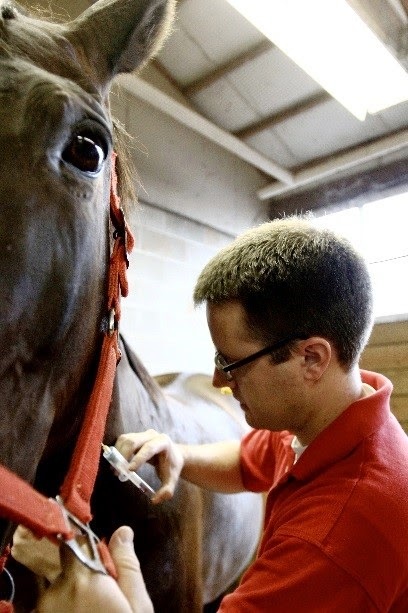 Dr. Fugaro also teaches the Advanced Equine Health Care and Management course at Rutgers University and Centenary College. Are you stifle-deep in manure? 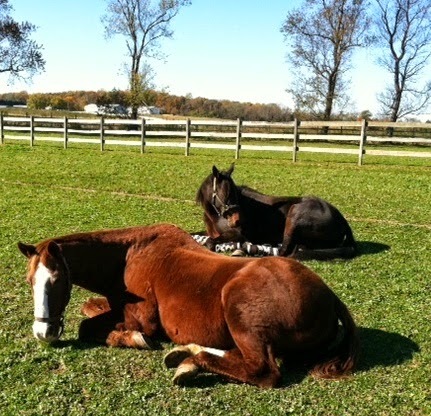 Not properly managing horse manure can have harmful results. Luckily I’m here to help! 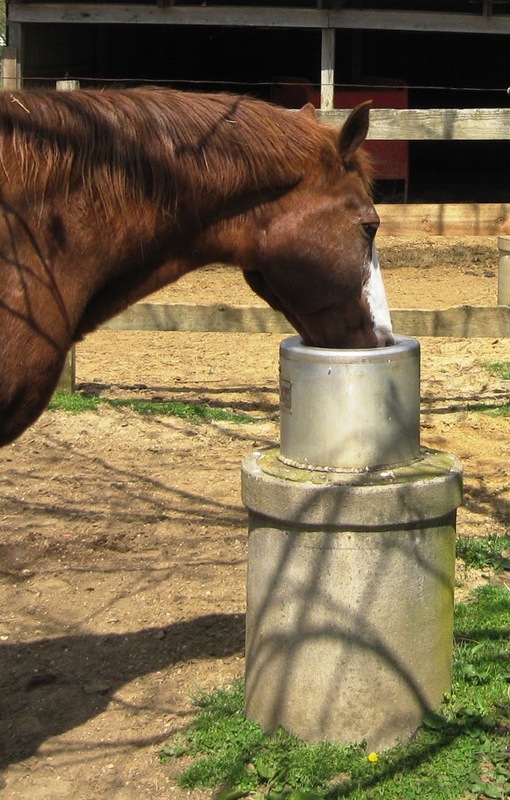 Keep reading to find out how truly awesome manure can be and how you can use it to your advantage! Constantly picking the paddock and stalls and putting it in a compost pile is safer for the environment. Although you may get your hands a little dirty, this can decrease the chances of nutrient runoff and environmental contamination. The best part is that the resulting compost can then be put back in the field to nourish the ground for plant growth. If only doughnuts could grow on trees! After five long, hard years working at the lab bench and out in the Treadmill Barn with my gal pals at Rutgers, Ryan Avenatti has finally earned his Ph.D.! Now, he will be Dr. Avenatti! I was going to give him doughnuts as a graduation gift, but…unfortunately, I ate them… So, I’m writing a blog all about him and his research to make up for my insatiable sweet tooth. This Monday, he presented his research entitled, “Effects of age and acute exercise on mediators of inflammation and energy homeostasis in horses”. 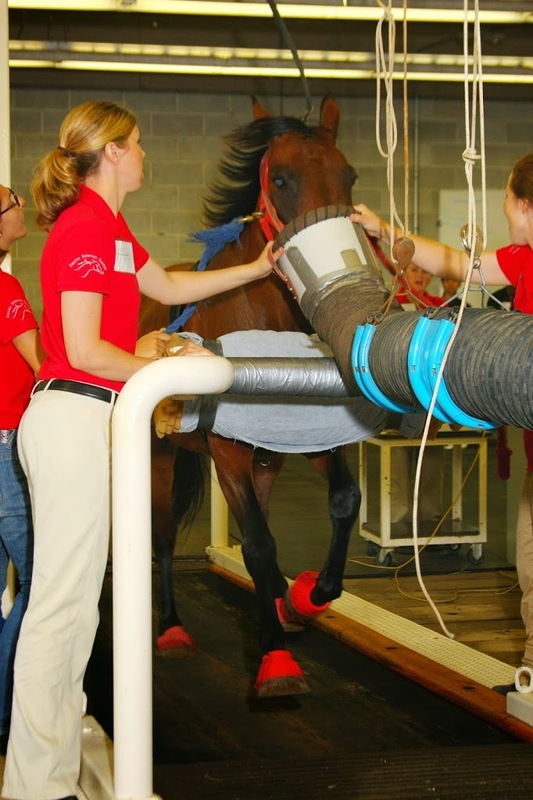 All those fancy words, pretty much mean, how a horse’s exercise physiology changes with age.